*New participants - if you do not finish all three events you will not receive a TTC jacket at the conclusion of the Mid Mountain Marathon. ALL REGISTRATION FEES ARE NON REFUNDABLE! DO NOT REGISTER FOR EVENTS INDIVIDUALLY! Triple Trail Challenge: You must register as a TTC participant. Do not register for each event separately! For both our environment and as a nonprofit, unnecessary waste, trash and expense is something we are strongly against. We are dedicated to maintaining a clean race and preserving the beauty of the area we run in. This year for all our races, we will be providing each racer a HydraPak SpeedCup a quick and easy watering solution. We will NOT have cups at the aid stations. Help us us with out Going Green movement! The ultimate summer challenge over a nine-week period! Complete the following three events for the signature TTC jacket embroidered with your accomplishment. Returning participants may have their jacket embroidered with the 2019 event logo. Jackets will be awarded at the finish of the final stage...assuming you complete all three! This is the first race in the Triple Trail Challenge. 100% of the course takes place on prime, buff single and double track in Round Valley which sits at an altitude between 6,500’and 7100′. While athletes will find the trails foot-friendly, the rolling, high-desert terrain presents a few long and steady climbs followed by fast downhills. This is a Park City favorite bringing elite athletes as well as weekend warriors to Park City from all over the country. With an elevation profile that resembles an inverted “V” (for vertical!) A 16-mile loop from Park City Mountain Resort (7,000′) to the top of Jupiter Peak (10,000′) and back down. Mid Mountain Marathon – August 17, 2019: Voted best trail marathon in Utah! The race course begins at Silver Lake/Deer Valley, where it follows the iconic Mid Mountain Trail for nearly 20-miles, to it’s terminus. There is one last uphill push before a long, winding descent down through the Utah Olympic Park trail system, with an epic finish at the base of the 120 meter, Olympic Nordic jump. The course rolls across the Wasatch Back, through aspen and evergreen forests, at an average elevation of 8,200′ and is largely shaded single-track. The Mid Mountain Marathon embodies the essence of mountain trail running with intermittent technical sections, a few sustained climbs and fast downhills. Digital image for each event from our event photographer! *If you are a returning TTC participant, you should bring your jacket to the start of the Round Valley Rambler, where you will turn it in so that we can have the 2019 logo added. Jackets will be return at the finish of the Mid Mountain Marathon. Please note: you must register under the Triple Trail Challenge event. DO NOT register for each event separately! NEW THIS YEAR – WE ARE GOING GREEN! 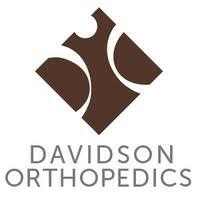 Thanks to the support of Davidson Orthopedics, we are going Green! For both our environment and as a nonprofit, unnecessary waste, trash and expense is something we are strongly against. We are dedicated to maintaining a clean race and preserving the beauty of the area we run in. This year for all our races, we will be providing each racer a HydraPak SpeedCup a quick and easy watering solution; it’s lightweight, easy to hold, reusable and collapsible so you can tuck it almost anywhere. You also have the option to bring your own system. It can be anything that works for you, so long as it does not produce trash. 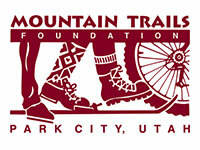 Besides building, maintaining and advocating for non-motorized trails in Park City and the healthy lifestyle they promote, the Mountain Trails Foundation puts on four annual competitive trail events: Round Valley Ramber, Jupiter Steeplechase, Mid Mountain Marathon and Tour des Suds Mountain Bike Race. All events showcase our world class trail system and are a tremendous funding source for the organization. To register participants, simply click the button for each person before checking out and we'll ask for that individual's registration info during the checkout process.